Students from the Dancing Grounds studio perform in New Orleans. Courtesy of Dancing Grounds. Dance has always been my health and wellness strategy. Without regular dance classes, I would go insane. And in online searches before I arrived in New Orleans, I couldn’t find any regular classes in the genres I had studied and loved: hip hop, jazz, modern, and contemporary. When I arrived, I discovered that adult dance classes were a patchwork—offered in different locations across the city, often inconsistently, and with little information online. But I also found, after eight years of living in tiny New York City apartments, that the living room of my new home felt as big as a dance studio. I grabbed some mirror pieces from an upcycling center, found an old stereo system at a local thrift store, and … voila! In a matter of days, on a $75 budget, my living room became a dance space. I started teaching one beginner hip-hop class a week to some new friends. My roommate was a great cook. For a $5 donation, we offered dance class and dinner to everyone that walked in the door. During that time, I got a gig substitute teaching dance at a local after-school program. I started a daily dance party and talent show in my classroom. The energy was infectious. Teachers from all over the building started popping in. I told them about my adult dance classes. They started coming. And they invited their friends. And their friends invited their friends. Local dancers started showing up to see what on earth this white chick from New York was doing with a dance studio in her living room. We hung out in my kitchen for hours after class, talking about the landscape of dance in New Orleans. They shared. I listened. We dreamed. The Dancing Grounds studio in New Orleans. Courtesy of Dancing Grounds. One visionary choreographer, Jessica Donley, and I immediately connected. 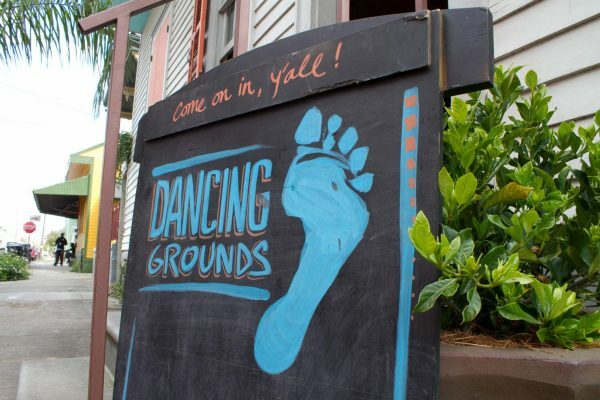 She had been dreaming of an organization called “Dancing Grounds,” with an image of a footprint as the logo. She was passionate about organizing the local dance community and creating work that represented Louisiana culture. I was passionate about making adult dance classes accessible to everyone. We were both passionate about bringing the joys of dance to kids and providing a space where they could be treated as young artists and innovators. So, we joined forces and started a nonprofit organization. A hip hop and salsa dancer, Randall Rosenberg, found his way to the space. Two modern dancers from New York, Brieze Levy and Marion Spencer, discovered us too. They became our volunteer marketing, fundraising, and studio-management team. We met Monica Kelly, a visionary creator looking for a platform to gather female visual artists. She turned the kitchen into an art gallery and invited her community. We threw small events that grew into big parties. The deck in my backyard became a stage. We hosted a wide and diverse community of artists, bound together by a common love of dance. By 2014, our growth was accelerating. We converted an old house into a two-studio facility on the commercial St. Claude Avenue corridor. We created a dance home for kids on Saturdays and during summers. We started applying for grants. We found individual donors. We got paid for our work. We forged partnerships with schools. We became a hub for dancers, a place for fitness lovers, a space for honest conversations. 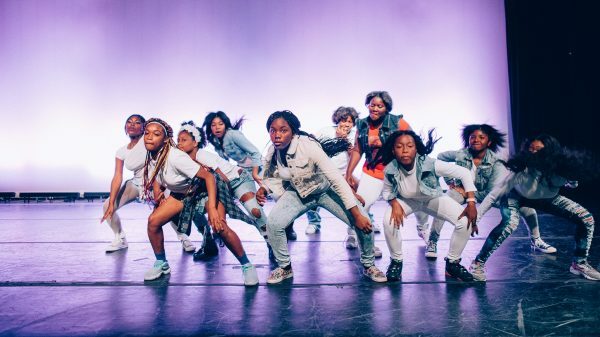 We created a culture that’s often not found in dance classrooms, one that encourages all people to dance and express themselves, regardless of age, ability level, gender, race, income, and the barriers that typically divide us. We took the vast network of relationships we’d built, combined it with the magic of our dream and some seriously hard work, and forged a reality that has grown to serve over 5,000 students, artists, and audience members over the past five years. That’s the story people love to hear: An American entrepreneur finds success based on hard work, generous people, and happy accidents! But there’s an important part of that story that’s left out: my privilege. It includes my upper-middle class two-parent Jewish household from Philadelphia; my expensive liberal arts education at Wesleyan University and New York University; and, my 10 previous years of employment in the nonprofit sector. I had the financial security to work part-time while getting the organization off the ground, the training to write persuasive grant proposals, and a network of hundreds of people that would donate to our crowdfunding campaigns. This story is not new. We see it across the nonprofit arts sector. Organizational leaders do not proportionately reflect the communities they serve. As a multiracial organization with white leadership, we set out to do the difficult work of self-examination. That started with asking some tough questions about my leadership: Is it my place to do this work? Am I truly sharing leadership with others in the organization? Am I ready to have conversations about my whiteness without being defensive or fragile? I sought out mentors who could help me with these questions. I joined a working group of anti-racist white folks. I internalized the ways that I, along with Dancing Grounds, benefitted from white supremacy. Students from the Dancing Grounds studio perform as a troupe. Courtesy of Dancing Grounds. We made sure that, as we grew, our leadership reflected the community we serve at all levels of the organization. We required that all staff and board members take the People’s Institute for Survival and Beyond’s Undoing Racism workshop. Now, we make discussions about race and equity a daily practice. 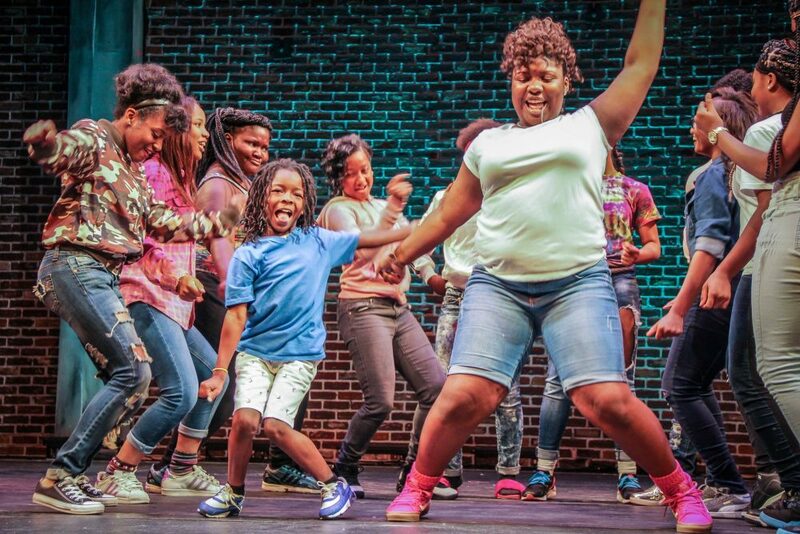 We host youth programs like Dance for Social Change that center the voices of the youth we serve and reflect their lived experiences. We reject the elevation of Western European dance styles above other dance forms. We operate from an abundance mentality. We believe that the more resources we share, the more there will be for our entire community. We actively support black-owned dance companies and local businesses. And we encourage the hundreds of adult students that come through our space every week to support other organizations working towards racial and economic equity. We call on our artistic practice. We use the power of dance and physical embodiment to see each other as fully human, build relationships across diverse communities, and create environments that center healing, joy, and love. Through all of this work, we strive to become a truly equitable organization. We will never be perfect, but I think we’re on the right path. Laura Stein is the co-founder and Executive Director of Dancing Grounds in New Orleans, Louisiana, an organization built with the love and support of hundreds of people, including many important people not mentioned in the article: Kristal Jones, Jeremy Guyton, Leigh Harwood, Natasha Brown, Janet Andrews, Barry Stoneking, Perry Chen, Jasmin Simmons, Cara Romanik, Kesha McKey, Mariama Curry, Catherine Caldwell, Eliza Brinkmeyer, Sari Levy, Akeem Olaj, Kai Knight, Marissa Joseph, Krista Patrick Brown, Chandler Nutik, Monica McIntyre, Patricia DeMichele, Michelle Ramos, Tiphanie Eugene, Steve Bailey, Maritza Mercado-Narcisse, Ja’nese Brooks-Galathe, MC Chenet, Michelle Mashon, Kehinde Ishangi, Kate Hanrahan, Caitlin Waugh, Anna Karina, Anna Quinn, Tiye Jones, Willa Conway, Ken and Annie Edwards, and Gary and Kathy Lavigne, the Stein family, and all of our DG students and parents.